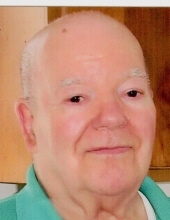 DARTMOUTH-John G. Da Silva, 99, of South Dartmouth, died Thursday, March 28, 2019 at Brandon Woods of Dartmouth. He was the widower of Mary (Caires) Da Silva and son of the late Joao Gomes da Silva and Maria Ascencao (Camacho) Da Silva. Born in Santo Antonio, Funchal, Madeira Island, Portugal, he came to this country in the early 1940's and was a communicant of the former St. John The Baptist Church. Mr. Da Silva was employed as a meat cutter at Davidson's Meats until his retirement. His family includes his children, Maria Fraga of Las Vegas, Joseph Da Silva and his wife, Sherie of No. Carolina, John Da Silva, Jr. of Fairhaven, Alice Santos and her husband, Richard of New Bedford, Diane Costa of New Bedford, Charles Da Silva and his wife, Cathy of New Bedford and Margaret Da Silva of New Bedford; 13 grandchildren, Christine, Mark, Nicole, Michelle, Jennifer, Ian, Leland, Dale, David, Lori, Stephen, Michael and Rachel; many great-grandchildren and 1 great-great-grandchild, Brady Alex; 2 nieces and 1 nephew. Mr. Da Silva was predeceased by 3 sisters and 1 brother. In lieu of flowers, donations may be made in his memory to Alzheimer's Association at www.alz.org. Private funeral arrangements were entrusted to AUBERTINE-LOPES FUNERAL HOME, 129 Allen St., New Bedford. To send flowers or a remembrance gift to the family of John G. Da Silva, please visit our Tribute Store. "Email Address" would like to share the life celebration of John G. Da Silva. Click on the "link" to go to share a favorite memory or leave a condolence message for the family.